Saturday 9th August saw a ridiculously early start for myself and Dan as we headed off to Zandermania on the Gloucester canal. 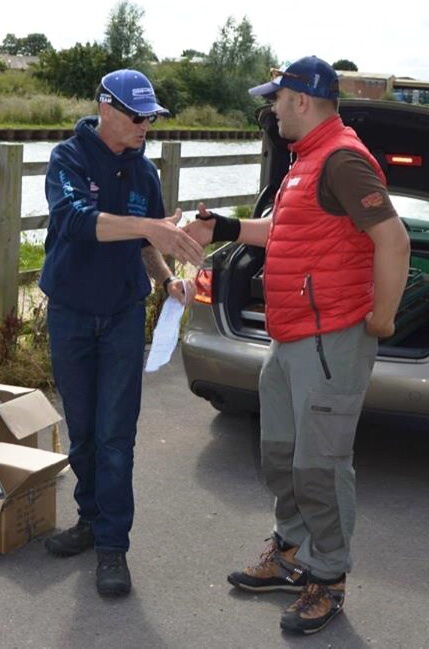 An event set up to aid fundraising for the England lure fishing squad. Secondly, and of equal importance to us was the fact that Zandermania was being run by Gary Palmer - all-round top bloke and professional guide that we had the pleasure to meet in Holland too. And judging by the generosity of the sponsors (Fiiish, SPRO, Z-man, Major Craft, Sunline & Trokar), it's clearly not just us that's fond of Gary's work. Sadly, unlike previous years, the fishing was under par with only a handful of Zander showing on the day. I think most people were in agreement that the venue looked superb. It was just one of those days. That takes absolutely nothing away from Mr Greg Bafia, who absolutely smashed it. For the second year running and on his own homemade lures no less! Well done Greg. Super skills on show.